The weight seems to be coming off little by little. I know this doesn’t seem like a lot to most people but at 4’11” a pound is a lot of weight. 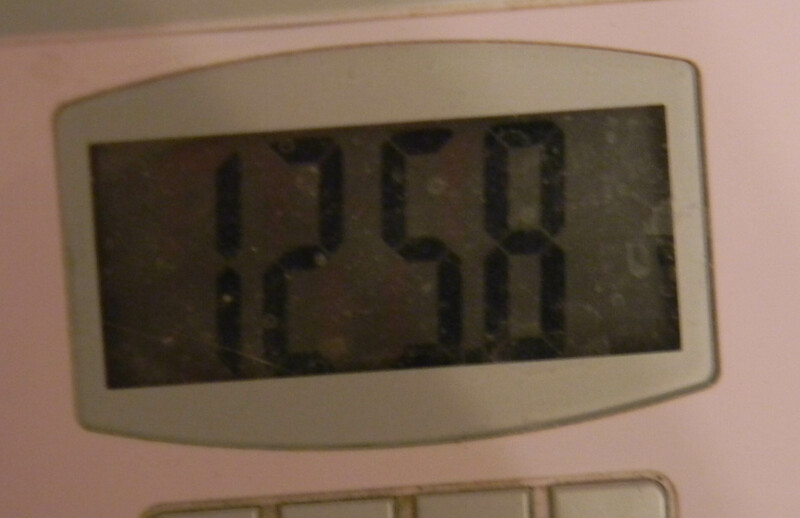 I have lost almost 4 lbs total since I began. A few of the things I have noticed are my body is getting stronger and was able to do 12 minutes of Pilates today. Also my fingernails are getting strong and my ankles smaller, lol. I don’t bruise as easily as I did either. I really banged my shin twice yesterday turning my compost bin and thought “there will be a huge bruise”. Today I can barely see anything. Usually I would have ended up with a huge bruise. I am still having pain but not like I did between day 5 of whole foods and day 1 of juicing. I read an interesting article about fibromyalgia and cleansing yesterday (of course you never know if what you are reading on the internet is good information.) It says that it takes nearly 10 weeks of detoxing to be pain-free. The detox listed is not juicing but eating salads, fruits, lots of water, and veggies. It also states to keep away from caffeine, and sugar. This is the type of diet I planned on trying to keep after this detox anyway but, it is another reminder that I need to keep on track. I drank my lemon water first thing and then a glass of juice. I ended up having to run an errand right at the time I should have been juicing so it threw me off and I ended up only having 3 glasses of juice today. Sooooo I was bad and had some blue corn chips and hummus and I am sure it wouldn’t be the end of the world. This entry was posted in Daily Life, Detox, Medical, Posts and tagged Day 3 Detox Juicing Fitlife.tv, Juicing Detox. Bookmark the permalink. followers! Fantastic blog and amazing style and design. sold in stores. Fruits with high amount of citric acid should be consumed in moderation.